The temple of Artemision is known as one of the Seven Wonders of the Ancient world. It had been built in the vicinity of Ephesus on a flat area which has over the centuries turned into a swamp. Today one can only see the ruins of the foundations of this marvelous construction of the Hellenistic Age, entirely made of marble and full of sculptured columns, capitals and shafts. The most beautiful remains of this temple are today exhibited in the London British Museum. The oldest remains found date back to the 6th century BC. The structure originally consisted of 36 huge columns, later enlarged upon from the orders of the Lydian King, Kreisos, during the 6th century BC. Most of the exhibits in the London British Museum belong to this period. A new Artemision was rebuilt in the 2nd century BC. Located on top of the previous one, it had tremendous dimensions: 125 columns each 17,5 meters high. Unfortunately this one was also destroyed by fire, reconstructed and again demolished by earthquakes, rebuilt and at last looted by Goths one year later. The statue of the many-breasted Artemision was the symbol of the temple but also of abundance, hunting and wild life. The genuine statue of Artemision, removed during the fire, is today exhibited in the Selcuk Museum. Many copies of this statue were found during the latest excavations and date back to the Roman period. When the Greeks first arrived under the leadership of Androklos, Kybele (Rhea) was the major deity in all of Anatolia. The Greeks introduced the worship of Artemis and later Artemis and Kybele eventually became the same goddess. Artemis is the goddess of hunting, wild animals, childbirth, and nature. 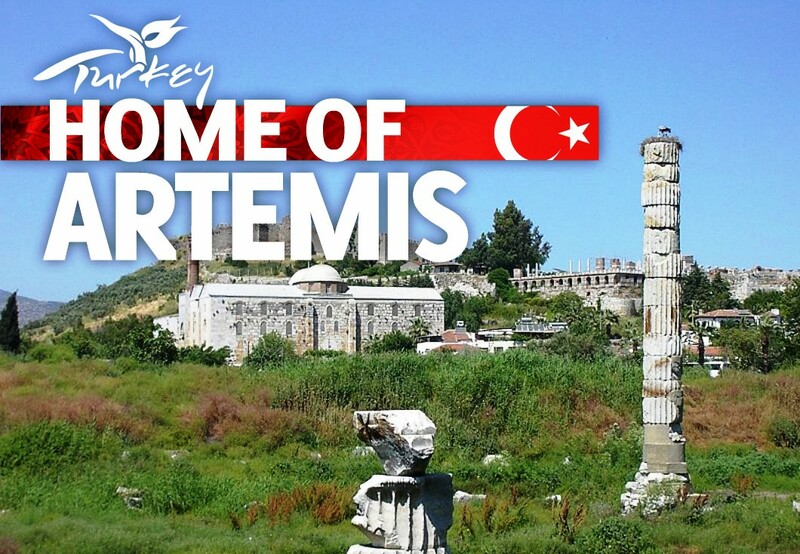 According to the famous historian Strabon, the Temple of Artemis was built and destroyed seven times. It was always rebuilt on the same site. Some of the different architects were Theodoros from Samos, Chersiphon and his son Metagenes from Knossos of Crete, and Dinocrates. The temple foundations date back to the 7th century BC. At first, it was a small shrine to Kybele. In around 550 BC Cretan Chersiphon, a Greek architect, designed the final temple. This initial building was sponsored by the Lydian king Croesus. 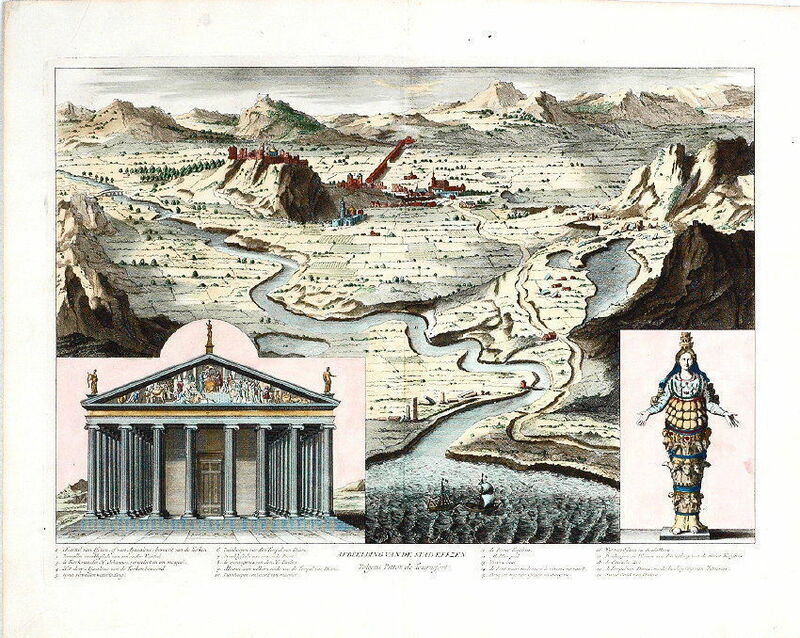 ​"I have gazed on the walls of impregnable Babylon and on the Zeus by the banks of the Alpheus, I have seen the hanging gardens, and the Colossus of the Helios, the lofty pyramids, and the gigantic tomb of Mausolus; but when I saw the sacred house of Artemis that towers to the clouds, the others were placed in the shade, for the sun himself has never looked upon its equal outside Olympus"